Lost in Translation. 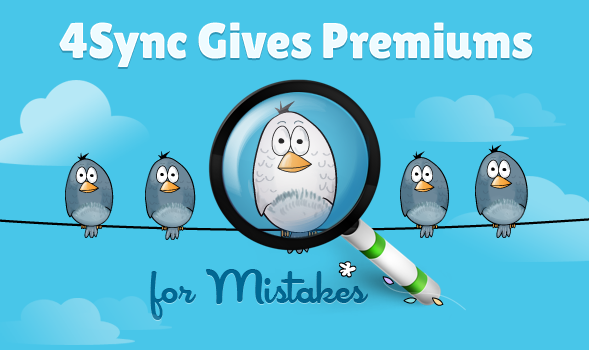 4Sync will give Free Premium Accounts for Mistakes! We’re looking for dedicated 4Sync enthusiasts and, we want to give you a Premium account for FREE! That’s right! All you have to do is, find mistakes in 4Sync’s apps translations. 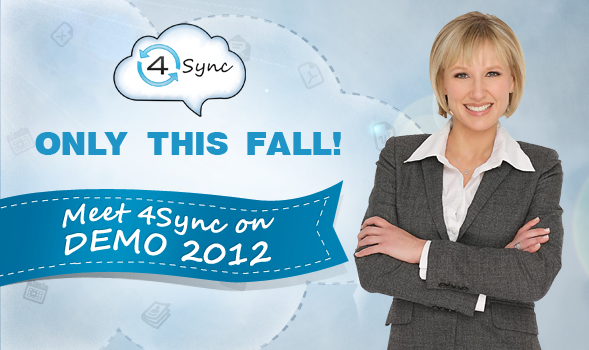 We are thrilled to announce that 4Sync was selected to demonstrate at DEMO Fall 2012, taking place next week October 1-3, 2012, at the Hyatt Regency in Santa Clara, California. We’ll present in the Big Data category on Tuesday October 2nd, 3:45 – 5:05pm for the 22nd bi-annual DEMO Conference, world-renowned for launching the most innovative companies in enterprise, mobile, cloud computing, consumer, social media and disruptive technologies. 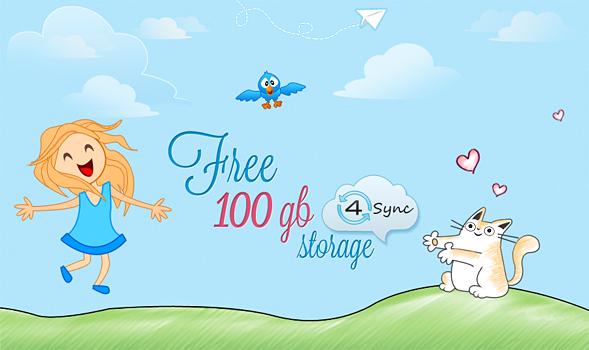 4Sync beta has grown from a small startup to a competitive cloud storage app. And you, our users, are an essential part of the history-making process. With our app you can safely, store, sync, stream and transfer media on all your favorite devices. 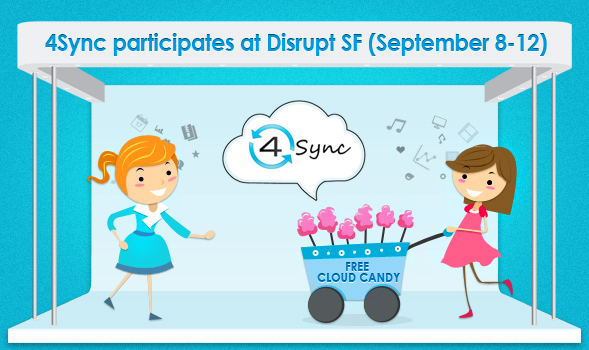 We are excited to announce that we are exhibiting at TechCrunch’s event, Disrupt SF, 2012! Not only are we delighted to be in such prestigious company, but also we have tons of goodies for you to enjoy. We hope to meet and interact with you,our users, and the plethora of potential partners. 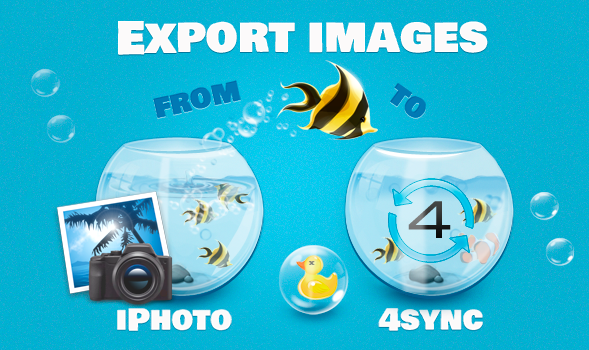 Export your photos from iPhoto to 4sync! Can you imagine our world without smartphones? Smartphones makes our lives easier; you don’t need to have a separate camera to take pictures or record videos. Smartphones are great, but eventually you will run out of space and will have to move your data somewhere so you can have room for new pics and videos. Hello to all 4sync users! We have some great news to share. 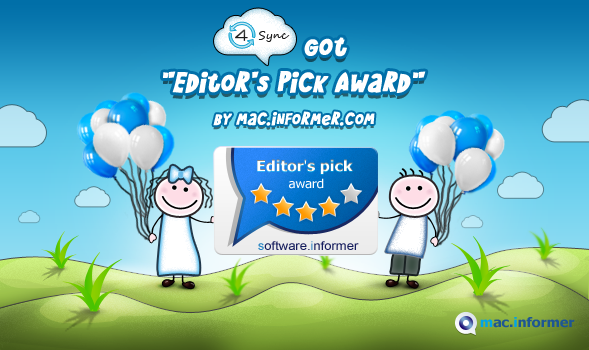 As you know 4sync was recognized as “100% Clean” app by Softpedia plus it became the most downloaded cloud storage and surpassed Dropbox! Great news! 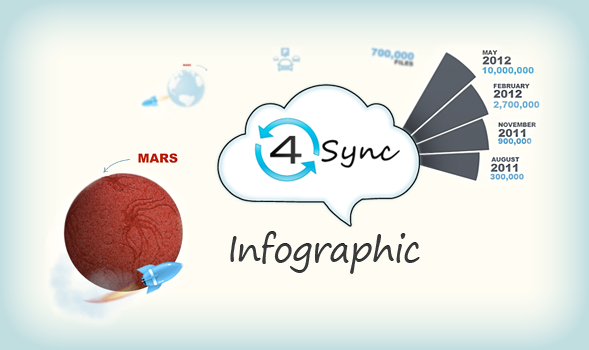 The new version of 4Sync app is finally available for download! 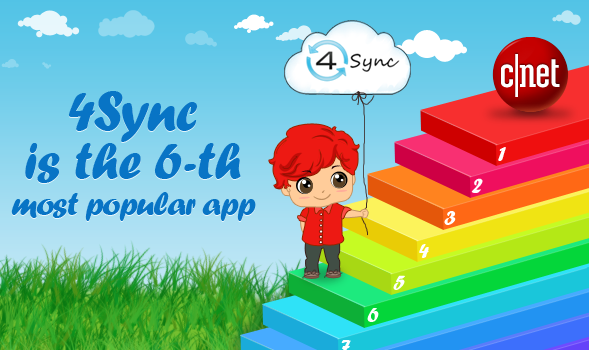 4Sync is the 6-th Best App on CNET! A while back we wrote about 4sync’s 20-th place among CNET’s most popular downloads. Today 4sync’s placement on CNET is MUCH higher!